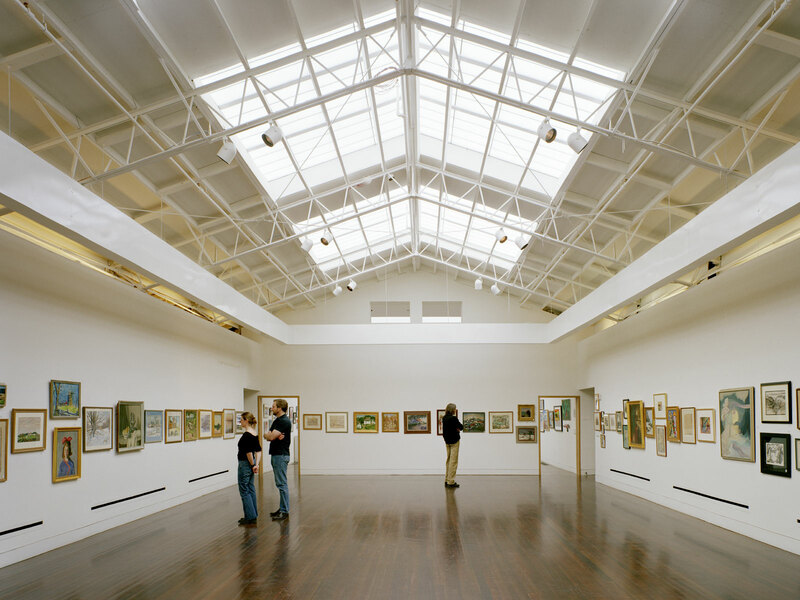 The renovation and expansion of the Provincetown Art Association and Museum in 2005-2006 dramatically improved the museum’s ability to store and display art and has increased the square footage of the facilities from 11,000 to 19,500 square feet. While presenting an architectural identity within Provincetown’s unique context, the renovation has improved all of the museums’ capacities within programming, education, archival, and community activities. 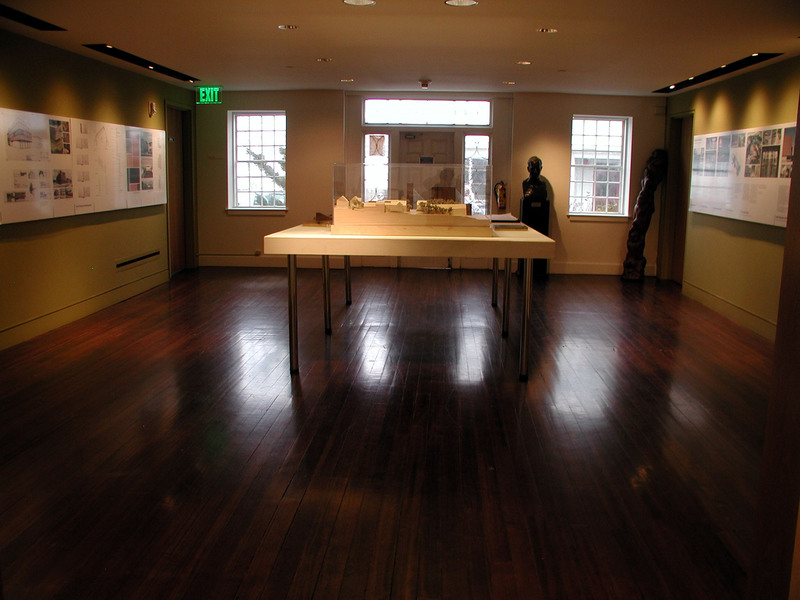 PAAM’s physical plant has been awarded a Silver LEED rating by the United States Green Building Council to recognize the museum’s Leadership in Energy and Environmental Design. The rating quantifies PAAM’s environmental performance, and assures the public that the facility is designed and operated to help save energy and natural resources. 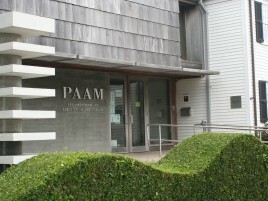 PAAM has received a 2006 American Institute of Architects Merit Award for Design Excellence, and recognition within the AIA’s 2007 Committee on the Environment (COTE). The building is wood-frame construction over a concrete basement. 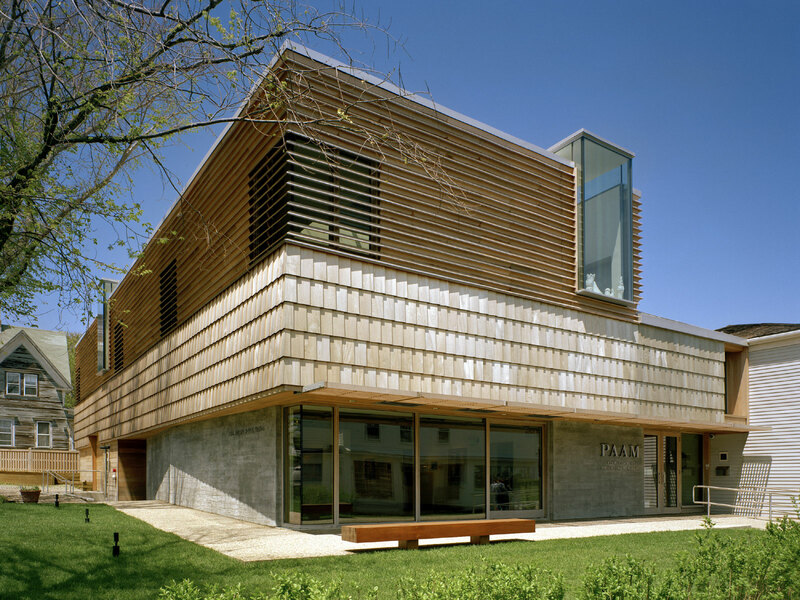 The older portion of the museum, which is listed on the National Register of Historic Places, is clad with white cedar shingles; the newer portion of the museum is clad with custom Spanish cedar shingles and louvers. There are board-form concrete walls at the facility’s new entry and along the west wall. 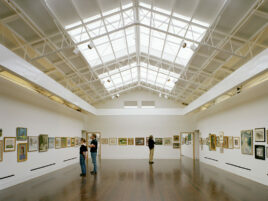 Interior materials include heartpine and douglas fir floors, plaster walls and white oak cabinetry.